Builders and construction workers’ use of drones has grown by 24% in just two years, according to the National Home Builders Association. For some builders and contractors, a drone can increase productivity and cut down on labor, particularly in the initial stages of a job. If you’re considering using drones on your next job site, there are a few benefits and considerations you should take into account before deciding whether or not a drone is right for you. The sky’s the limit when it comes to what you can do with a drone, but they can be an expensive purchase. And if you aren’t using it to its maximum potential, then you aren’t getting your money’s worth. However, there are many benefits to drones that will ensure your money is well spent. 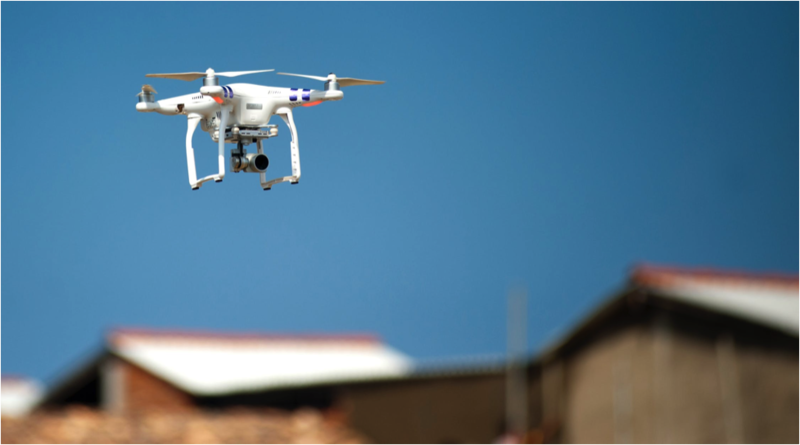 For roofers, drones can dramatically improve inspections of difficult to access properties. With a drone, you have the ability to remain safely on the ground, while viewing all areas of the roof. This is important, because some roofing materials can be too fragile to walk on safely; drones mean you don’t need to disturb the roof to note its condition. This can cut down on your labor costs, as inspections will take less time and manpower, and can be conducted more safely. Aerial shots can provide dramatic views of all building types, and using a drone allows you to take before and after photos of buildings from a unique vantage point. Roofers and new construction builders can use these images to show off a new roof and and overhead layout of a new building. This allows you to improve your portfolio, and lets you point out details to clients they might not see from ground photos. Many homeowners are anxious about work being done to their properties. Their home is their most important asset, so it can be understandable that they’ll want frequent updates on the progress. With a drone, you can provide video links for them to view at their leisure, showing the state of their home and the progress of the project. You can even provide commentary on the video of what’s work is being done currently. Drones can be used to quickly canvas a neighborhood, gathering information about nearby properties and the layout of the streets. Builders can use these images when selling properties to give clients a visual idea of where their home would be placed, eliminating the need of hand drawn or digitally created maps. Home inspectors may also find uses for drones. Inspecting areas of the roof or home exterior that are otherwise inaccessible can improve client satisfaction of your report. And it may help turn up issues that would not be found in typical inspections. 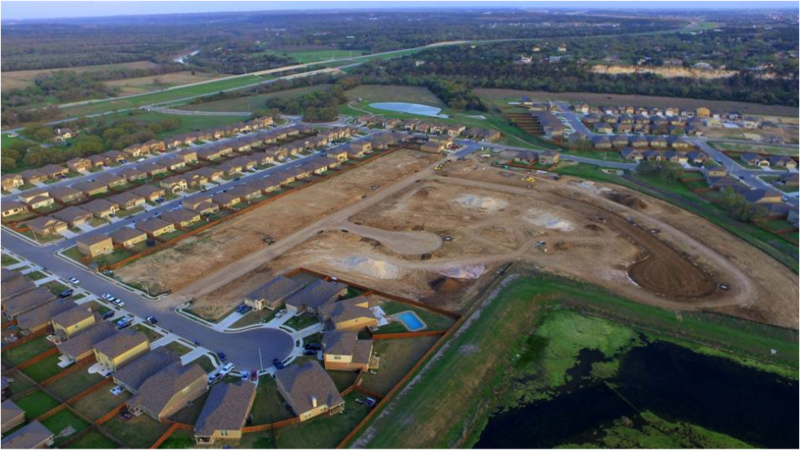 Drones make a great marketing tool for builders, contractors and remodelers. You can take videos of works in progress, completed projects, before and after feeds or even tutorials, and upload them to your social media channels. The information gathered by the vantage point of the drone can be fascinating, and can help you find new business. While there are a lot of benefits to buying a drone, you should be sure that the benefits to you outweigh the cost and barriers to use before making a purchase. A drone can be an expensive purchase, which raises the question of just how much use you’ll actually get from it. For builders who would only occasionally need to survey land or buildings from above, using a drone may not be the best fit once the total cost of the drone compared to the amount of times it’ll be used are taken into consideration. While in some ways a drone is merely a very expensive remote controlled toy, it does have a learning curve involved to use it properly. And until that curve is mastered, there are some risks involved. High winds may blow a drone off course, particularly if a user is not used to operating one. Mishandled drones may become stuck in trees, a concern for some properties that have a lot of dense cover. They may also crash or become damaged, which leads to further costs and potential insurance issues for more expensive, high-end drones. Many drones may need to be operated in areas that make it difficult to see the drone from the ground, which means relying solely on its equipment to help you position and steer it. This can be overcome with time and practice, which you should consider before purchase. In some areas, a drone of certain size is actually illegal to fly at certain heights. In other areas, the laws may be vague or extremely ambiguous, meaning that you may not realize until after you begin flying the drone whether or not it’s allowed in that area. This is especially true if you are taking photos or videos with the drone or if you’re in highly populated areas. Every state or town may have its own laws about what drone technology is allowed, and those laws are rapidly changing. The Federal Aviation Administration wants to ban some types of drones and wants users of other types to register them and follow certain guidelines or rules. Although currently there are no laws in place, the FAA is in the process of attempting to create them. This is a risk that many builders are willing to take. For some the drone pays off in the short term. And some builders are willing to license it once a law is in place in order to get the immediate benefits. However, until you speak to lawmakers in your area, you may not know exactly what is or is not allowed, which is something you should think about before purchasing. For many construction professionals, the pros far outweigh the cons for using drones on the job site. With the ability to make assessments of the property from the ground, as well as the appeal that drone footage and photographs have for clients, many builders are finding that the benefits of drone usage far outweigh the costs. Weigh these considerations for yourself to determine if these uses will benefit your business as well.